Trade shows are a major investment with a big opportunity for a return on that investment. Your ROI is directly linked to your actions, decisions, and your trade show display. The good news is that these factors are completely in your control. The bad news is that a poor trade show performance can cost you your ROI. 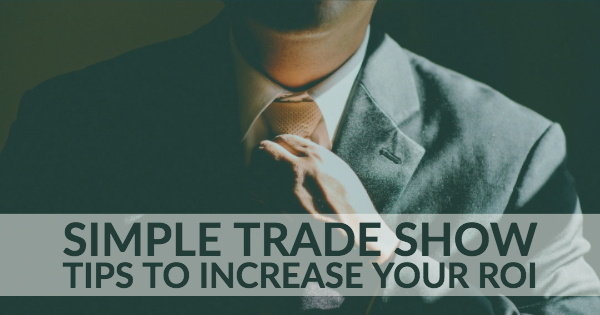 To help you make the most out of your next trade show, here are a few tips and tricks you can use to increase your chances of generating a positive return. Areas with high foot traffic are key for every business whether it's a physical property at an outlet mall or a display booth at a trade show. High-traffic spots give you more opportunities to meet and engage with attendees. To reserve a high-traffic area at your trade show you either have to pay a premium or contact the event organizer. You want a spot that's on the corner where attendees will be passing at crossroads. Corner spots give you the chance to engage with attendees from all directions. It also makes your display more visible instead of crammed between two others. It's important to remember that even if you pay a premium and land a great spot at your trade show, you need to have a display that has a good design. Poorly designed booths and banners will make attendees avoid eye-contact rather than stop to talk to your team. Consider working with a trade show booth display company that not only offers displays but also the services of a professional graphic designer. Looking for trade show booth displays that'll make you stand out? One of the best ways you can get a return on investment at your trade show is to use tabletop display booths, display towers, or retractable banner stands that are attention-grabbing and stand apart from the competition. In fact, up to 35% of people said they wouldn't have discovered a business if they hadn't seen their sign. Anything Display offers a variety of trade show tower displays and retractable banner stands so you can make the most out of your display. To learn more about our displays and booth options, contact Anything Display today.